Maserati started business in the early 20th century with the mission to “Build ultra-luxury performance automobiles with timeless Italian style, accommodating bespoke interiors, and effortless, signature sounding power”. Since its founding Maserati has produce a wide range of racing, touring and sport cars. 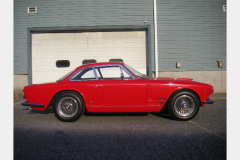 These cars include the 3500 GT, Sebring, Quattroporte, Ghibli, BiTurbo and many more. 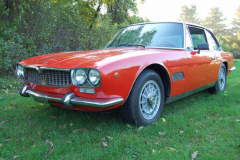 At Forza, we offer for sale and purchase pre-owned classic Maserati’s whether they are in concours condition, used as daily drivers or are project cars. For more than 25 years we’ve assisted collectors and enthusiasts with their pre-owned Maserati needs. With this experience comes the knowledge and experience of what to look for when dealing with pre-owned Maserati automobiles. 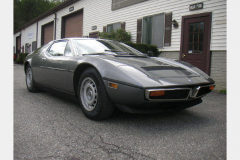 To see our current inventory of pre-owned classic Maserati automobiles, visit our exotic automobiles for sale page. 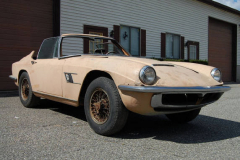 Looking to sell your classic Maserati? Then visit our exotic automobiles purchased page. Have a question? 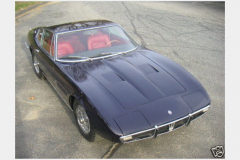 Then contact us with your classic Maserati needs. Listed below is a small sampling of the pre-owned classic Maserati’s we’ve handled through the years. 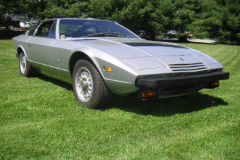 All of the classic Maserati’s listed below are now sold and at homes with their new owners. 1962 Maserati Vignale Spyder 56,000 miles Red with a Tan interior. One of the greatest road cars that the Maserati Company has ever produced. This car rivals the Ferrari California Spyder and is a fraction of the cost. This car is for sale and ready to be purchased. Click the image or title for more images. 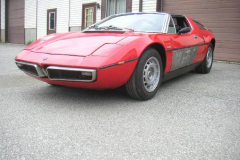 1972 Maserati Bora 34,000 kilometers Red with a Black interior. 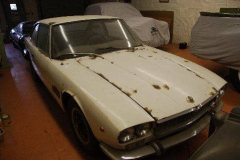 Rare to find Project car in need of restoration. Engine starts and runs. This car is for sale and ready to be purchased. Click the image or title for more images. 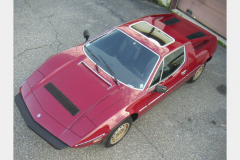 1980 Maserati Merak Burgundy with Tan interior. 25,000 one owner miles. This car is in excellent condition with a very nice rust free body. The engine is out of the car and needs to be repaired. This car is for sale and ready to be purchased. Click the image or title for more images.